The Court of Appeal has confirmed that the exclusion of an Indian Muslim public speaker from the United Kingdom after making statements which breached the Home Office’s “unacceptable behaviours policy” was lawful, and that any interference with his rights was justified. We posted previously on the original exclusion of Dr Naik from the United Kingdom, and reported on his subsequent address by sattelite link to the Oxford Union. The appellant had regularly visited the UK since 1990 on public lecture tours. In 2008 he was granted a five-year multiple entry visitor visa. In 2010, two days before he was due to arrive in the UK on a lecture tour, the secretary of state excluded him and revoked his visa. She considered that he had made a number of statements which were supportive of terrorists, such as Osama Bin Laden, and breached the “unacceptable behaviours policy” for exclusion from the UK. The decision was based on the fact that several of his statements fell within the Home Office’s “Unacceptable Behaviour Policy”, an indicative guide to types of behaviour which would normally result in grounds for exclusion, and that his presence would not be conducive to the public good.The Administrative Court dismissed Dr Naik’s application for judicial review of this decision, holding that the Secretary of State’s responsibility for the protection of national security is a central constitutional role, and encompasses a duty owed to the public at large. It could not be overridden by reference to any representation or practice relating to an individual entrant. The appellant submitted that on the basis of previous decisions to allow him entry, he had a legitimate expectation that he would be allowed entry clearance on this occasion. He still maintained that the exclusion breached his rights under Article 10 of the European Convention on Human Rights 1950. Appeal dismissed. Cranston J in the court below was clearly right to conclude that the course of conduct in issuing visas over many years could not give rise to an expectation that the Home Secretary had considered and formed a view on whether the appellant’s entry was conducive to the public good. In any event, the secretary of state’s responsibility for the protection of national security was a central constitutional role, and encompassed a duty owed to the public at large. It could not be overridden by reference to any representation or practice relating to an individual entrant. Nothing done by previous Home Secretaries could detract from the responsibility of the present Home Secretary to make her own decision on the material before her at the time. There was a jurisdictional question concerning the reach of Article 10. Could Dr Naik, as an alien not physically within the country, invoke a right to communicate his views under that provision, or was Cranston J correct in finding that any Article 10 rights were limited to those of his followers in this country to hear him? In R (on the application of Farrakhan) v Secretary of State for the Home Department (2002) EWCA Civ 606 the Court of Appeal had concluded that where an alien was refused entry for reasons that were wholly independent of his Convention rights, the fact that this carried the consequence that he could not exercise those rights in the territory from which he was excluded would not constitute a violation of the Convention. In the instant case the Court of Appeal found that it was not necessary to reach a final decision on this jurisdictional question. There was a line of more recent Strasbourg authorities that supports a wider view of Article 10 than that in Farrakhan, which place the emphasis on the words “regardless of frontiers”. Thus, in Cox v Turkey (20 May 2010), the Strasbourg Court held that Article 10 was engaged by the ban on the re-entry of a US woman who had expressed strong views on issues of Kurdish assimilation and the treatment of Armenians. That case provided “persuasive support” for the argument that article 10, at least, was not limited by the same strict principle of territoriality as applies to other parts of the Convention. It is difficult to see any logic in treating an applicant less favourably because he takes the sensible course of applying for entry clearance from abroad, rather than simply arriving at border control at Heathrow. If a more substantive connection with this country is required, it can be found in Dr Naik ‘s previous unobstructed visits to this country, his large body of supporters here, and his extant multiple entry visa. There were essentially three questions for the secretary of state: whether the appellant had engaged in the types of behaviour listed in the Unacceptable Behaviour Policy; if so, whether he had repudiated such views and demonstrated publicly that he had done so; and lastly, whether his exclusion was proportionate in relation to the policy’s legitimate aims. Some of the statements made by the appellant seemed provocative and inflammatory, and the secretary of state could fairly take the view that they brought him within the terms of the policy. The Court of Appeal concluded that those of the appellant’s statements which he tried to refute could not be discounted as an unrepresentative sample of his utterances. He had not satisfied the burden of demonstrating that he had publicly repudiated the views which had brought him within the policy. The necessity for restricting the appellant’s Article 10 rights had therefore been convincingly established . the decision of the SSHD here was made against the background of a society with as strong a tradition of freedom of expression as is to be found anywhere. These hate speech cases, particularly since 9/11 (when inflammatory public speaking started to focus on religious divisions rather than political ones) encapsulate all the contradictions at the heart of free-speech valuing societies. Modern liberal societies permit and even invite speakers with forceful agendas, but only on our own terms. So religion can be part of the market of free ideas so long as it renounces its claim to have a privileged purchase on the truth, which of course is the claim that defines a religion as a religion as opposed to a mere opinion. How to resolve this impasse? Bring on the universal balm of human rights. The language of rights is useful because it can define figures like Dr Naik in terms of his rights under Article 10, rather than the content of his beliefs, so that his right to speak and his audience’s rights to hear are what important and must be protected, rather than what he believes, or happens to say. This moral contortionism results in arguments and refutations that are sometimes taken seriously, although ultimately not, in this case. As Gross LJ observes, Dr Naik’s explanation that he used the word “terrorist” to support terrorising “anti-social elements” is difficult enough to follow on its own terms, even with time to analyse the written word; this “convoluted explanation” would simply be lost on a “live” audience. In any event, the notion that for a robber, a policeman is a “terrorist”, belongs in the realms of linguistic fantasy. The hard truth of the matter is that inclusion of all points of view, such as Dr Naik’s, is not an attainable goal, under the European Human Rights Convention or anything else. We must question whether it is even a worthy goal to obtain, because if we legitimised all points of view we default on the responsibility of a free society to protect those freedoms. That is why notions of “unacceptable behaviour” are necessary – to prevent individuals such as the appellant from asserting interests inimical to those freedoms and then disguising them with high-sounding abstractions (Naik’s calls for peace and brotherhood between nations, etc). The “clawback” provisions in article 10(2) therefore play a very important role in allowing the authorities, and the courts, to restrict the expression of thoughts, which, if brought into effect, would undermine the very basis on which common law and Convention rights exist. I have read the original article in the Guardian by Rosa English which is reprinted above and wish to make a couple of observations. It is trite law that ‘freedom of speech cannot protect a man who shouts fire across a crowded theatre’ to quote Justice Holmes (Article 10 rights are discretionary as opposed to absolute). I must assume in the absence of transcript or records that Dr Niak made the derogatory or unacceptable comments which excluded his entry to the UK. However, it is interesting to note that the courts construed this decision by the HS to be essentially an Immigration matter as opposed to a HR issue,namely freedom of speech. On this issue I believe the two concepts are intrinsic, as one issue cannot be separated from the other, presumably Dr Naik posed a security threat stemming from for his statements (speech) which he refutes. Equally, I believe that an attempt to separate the concept of ‘right to free speech’ as opposed to one’s belief is fundamentally flawed, If Dr Naik holds such unacceptable beliefs but chooses not to air with an audience to satisfy the authorities this cannot be conducive to civil society nor a safeguard of public for he may wait another time when the dust is settled and then express his true ideals by then the safeguard and protection of the public would have failed. I would venture to add what is important what one says in public or what one holds dear in belief and in practice? To bridge such anomolies in my view it is important to tackle and unearth such foul beliefs and practices not by exclusion but inclusion through debate, dialogue and discussion which of course can take place outside the UK. i do not know if the home office has the enough evidence about the indian support terrorist, but id like to say if the home office have , why they did not arrest him? It is surprising how few comments there are in response to this. PLEASE KINDLY PUBLISH THE UNITED DECLARATION ON INDEPENDENCE SIGNED IN 1960. THE COUNTY COURTS ACT 1984 Section 23, 38, 76 and Schedule 2. Section 11 and 119 of the Courts and Legal Services Act 1990.
this has not been taken into consideration by the High Court and Court of Appeal Judges in the United Kingdom, which causes injustice to many other Citizens. 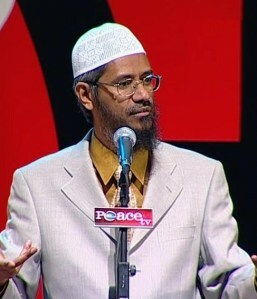 Dr Zakir Naik whom I have not seen personally, but have heard his speech on the Internet, as He does express his views and opinion in accordance with Section 13 of the Human Rights Act 1998 and Article 9 of the Convention Treaties.